Are You Ready for a Construction Manager Career? Consider: High salary, steady demand, exciting opportunities. An exciting career opportunity is available for you at Lamar University: Construction Management. Construction is among the largest industries in the United States, and starting salaries of construction managers are among the highest. Because construction is a broad field, covering residential, commercial, heavy/highway, and industrial/plant projects, the career opportunities in the industry are as varied as our students' interests. The Construction Management BS Degree program is a traditional, on-campus university experience that provides vital lessons through valuable "hands on" experiences gained through both classroom experiences and through an construction management internship program. 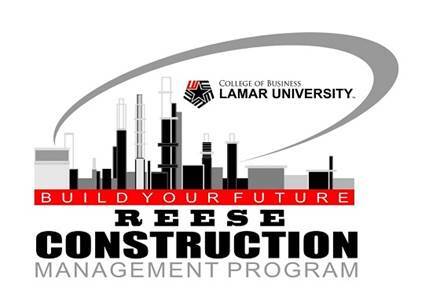 Through the construction manager courses offered at Lamar, employers will also be assured that graduates have a variety of important skills needed in the industry: quantitative, written and oral communication, project management, safety, materials, and process, among others. The group gave special acknowledgement and appreciation of the past CMSA Officers for their service and dedication to the Association in 2012-2013. The group gave special acknowledgement and appreciation of the past CMSA Officers: Teresa Rocknic, Colby Plaia and Andy Nguyen for their service and dedication to the association in 2011-2012. As a key piece to ABC-National’s EdCon & Expo, the Trimmer Construction Education Foundation, TCEF, offers ABC student chapter members the Construction Management Competition. In addition to providing a significant learning opportunity, TCEF hopes that the competition environment will bring out the best in each team; encourage dialogue among the students; and foster the team spirit as students rise to meet this challenge. The Construction Management Competition is designed to challenge construction knowledge, organization, time management, and presentation skills. 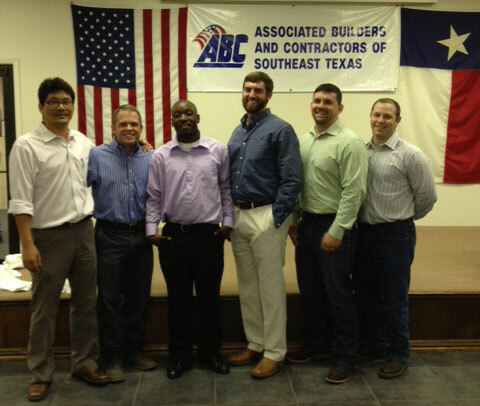 ABC student members from colleges and universities across the nation came to San Antonio, Texas to compete in the 2012 Construction Management Competition, held during the 2012 EdCon & Expo. This year the competition drew competing teams from 25 colleges and universities (our local Student Chapter from Lamar University being one of those competing teams). Students worked in teams of four in an intense day-long competition, taking part in a bid day drill. Prior to the event, teams prepared a project schedule and developed a safety plan, then came prepared to adjust their work based on changes to the project, such as site logistics. Eight finalist teams were chosen to verbally present their submission to a panel of judges acting as owners' reps and design professionals. 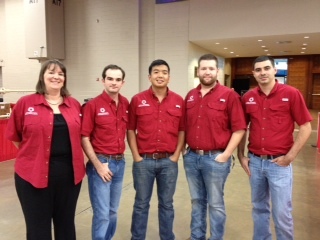 Team members from Lamar University representing ABC-Southeast Texas were: COLBY PLAIA, ANDY NGUYEN, JARROD SONNIER, EDGAR MEDRANO, and Alternate, TERESA ROCKNIC. Advising Lamar Professors: DR. STEVEN McCRARY and DR. SEOKYON HWANG. Thanks and Congrats to the Lamar University team and professors for competing (for the first time ever), in ABC-National’s competition…job well done!